Since owning the Tacoma we’ve been lucky enough to not have hit anything living or otherwise that could do damage to us or us to it. We’ve also never gotten ourselves into a situation where we needed a winch to rescue ourselves (or others) from sloppy misadventure but we still keep trying 😉 Past experiences though have shown me that a 2+ ton vehicle, going 65 miles an hour and hitting a 300+ pound animal is really bad for both vehicle and animal and so we decided that the stock Tacoma bumper was just not protective enough and wanted to do something about that. To that end we attended the Overland Expo West in Flagstaff in May ’17 with our main purpose being to order a front bumper. 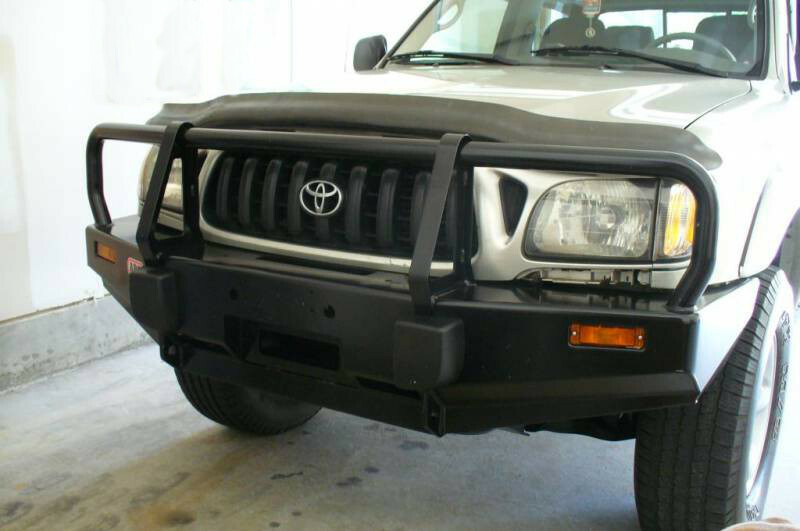 The standard aftermarket bumper which all others are compared to is the ARB. No one has anything bad to say about them; they are well built, consistent, capable and relatively inexpensive since they are essentially welded together by robots. The one negative is they weigh about 150 pounds and that is before you bolt a 50+ pound winch to it. 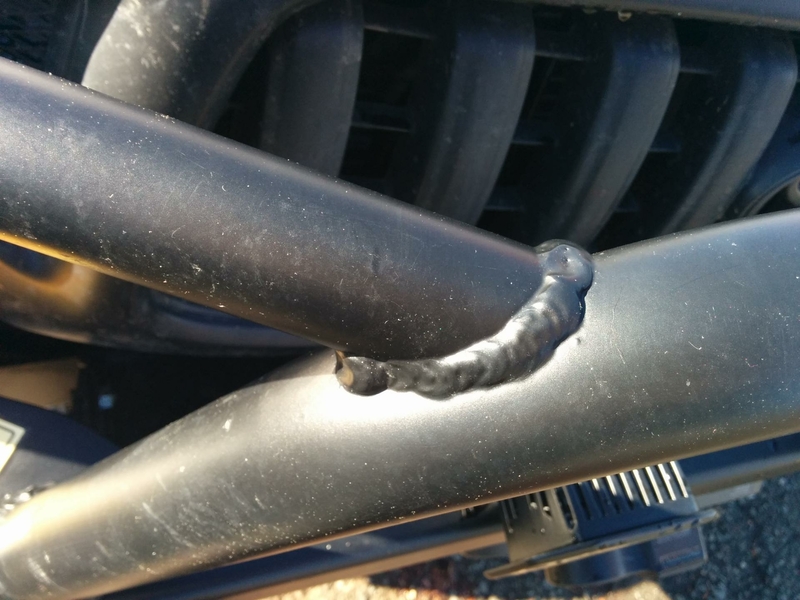 A 200+ pound addition to the front of any vehicle really screws with the balance, dynamics, handling and breaking as well as taking a noticeable bite out of your gas mileage. To mitigate some of those issues more money is needed to beef up the front suspension and really nothing can be done about the added weight except removing it from somewhere else on the vehicle or by carrying less gear and we have already been paring down what we carry with us for the past year. For those reasons we decided that an aluminum bumper would be our best bet. By looking through an exhaustive report we found on Expedition Portal (fair warning – the linked “page” is photo-heavy and about 150MB in size) with essentially all the companies that make aftermarket bumpers we narrowed it down to Aluminess and CBI Offroad because they were the only two that made an aluminum offering for our 1st gen Tacoma. 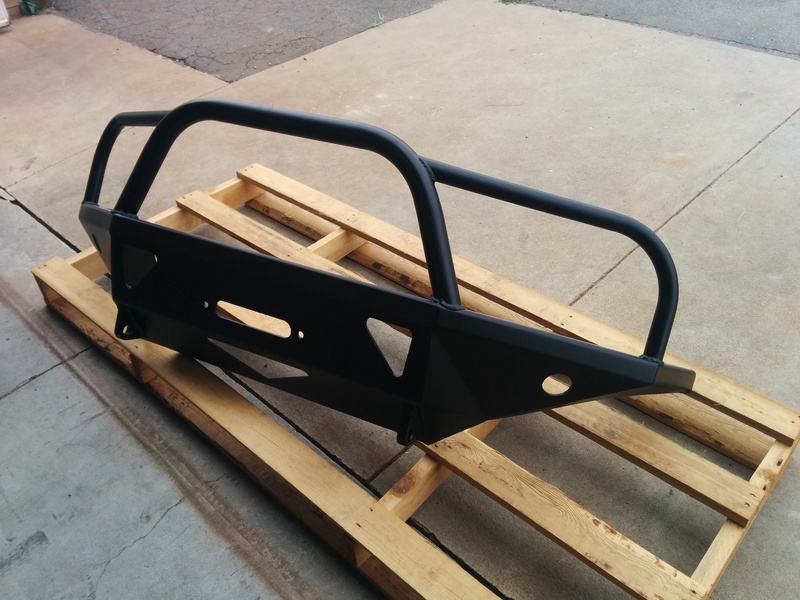 The huge plus – aluminum bumpers weigh half as much as steel. The bad but not surprising negative – they cost double. By walking around the Expo we eventually found both companies and attempted to ask some questions. The CBI booth was packed and so we wandered over to the Aluminess area where we were informed by the pretty but unhelpful beer-pouring young woman that the person who was authorized to answer questions and take our money was busy drinking. Now granted, many of the booths were offering beer, we had enjoyed more than a few samples ourselves up to that point and it was towards the end of the day but I was wanting to spend my money now and they were obviously of the opinion that I was a lookie-loo tire kicker and so we got the brush off and they lost a sale. We headed back over to the CBI tent which had by that time emptied out a bit and I was eventually able to corner the guy who looked like was taking people’s money. After a quick chat where I learned that the bumper would have to be built back at their offices in Idaho Falls and that would mean a wait of about two months I offered my credit card and he was happy to take it and remove a $1624.99 chunk from my balance. Ouch. That two month wait for delivery would also end up falling right when we wanted to be back up outside of Salem, Oregon for the upcoming total solar eclipse. During our wait we found out that Idaho Falls sits smack dab in the path of totality for the eclipse and so we decided to make a trip out of it, enjoy the eclipse there and have them do the installation as well. Two months later we received an email letting us know that they were about two weeks behind in their production run which was a slight disappointment but still fit within our scheme to be in the area for the eclipse. This is also about the time that our interactions with CBI started going downhill with inconsistent answers that didn’t correspond to information on their website, not even knowing what this bumper weighed and the general feeling we got that our business was just too small for them to care that much. The original plan was to get the bumper installed and then add a winch later which we would buy in Oregon to save sales tax. When that subject was brought up with CBI we were informed that once the bumper was installed a winch could not be installed at a later date unless the entire bumper was removed first and so doing that at the time of original installation would be the best course of action. 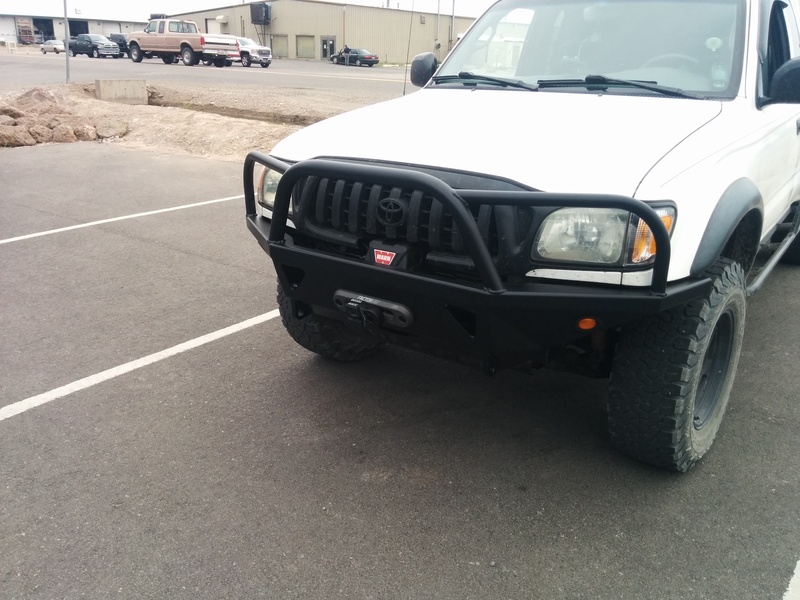 Okay, since we were going to add a winch anyway why not let the professionals install it as well as the bumper, the added expense of sales tax and hourly installation fees be damned. 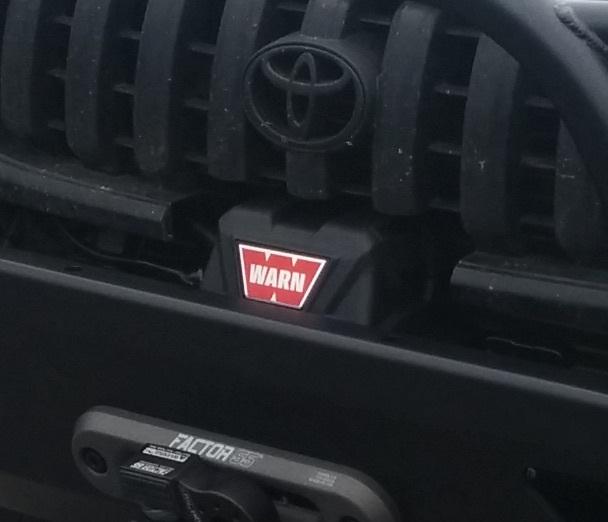 When I inquired about two of Warn’s latest winches I was told that they had not ever fit those on this bumper and so they couldn’t guarantee either would fit and that it would take many hours to even attempt such an outlandish feat. Not wanting to be difficult we instead chose one of the winches they have on their website in the pull-down menu for add-ons to this bumper and told them we would settle for that. The addition of that Warn VR10-S winch, a Factor 55 aluminum Hawse fairlead and FlatLink added about $1000 to the total. On the day we had made our installation appointment we drove up from the place we had stayed for the eclipse in Rigby, Idaho and arrived at their shop right when they opened. Hoping to save a bit of money on the installation we had removed the factory bumper at our eclipse campsite. Silly me I assumed that meant they would immediately take our Tacoma into the shop and start the install process. After about 30 minutes standing around I pulled a folding camp chair around to the side of their showroom building and pulled out a stack of magazines since their wi-fi access was slower than my typically crappy AT&T signal. After 30 more minutes someone came and asked for the ignition key and they drove the Tacoma over to their back building where the installation was to take place. Not wanting to bother the installer we stayed on our chair for another hour and read a Wired magazine before curiosity got the best of me and we wandered over to the installation bay to see how things were coming along. 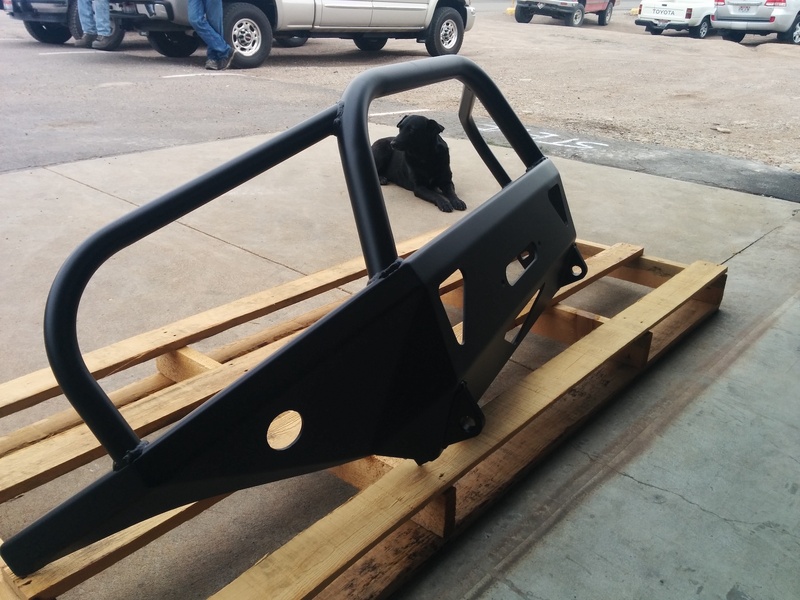 Sitting on a pallet in front of the roll-up door was our new bumper…still not on our Tacoma. Since no one had yet been able to tell me how much it weighed I picked it up with one hand easily enough just to see. Later, when I mentioned that I thought it was under 50 pounds since I could easily lift it with one hand (and probably because they were annoyed I had now mentioned the unknown weight to them about 3 times) someone from the office went to find the person who actually welded the bumper together and he told them it was about 45 pounds! 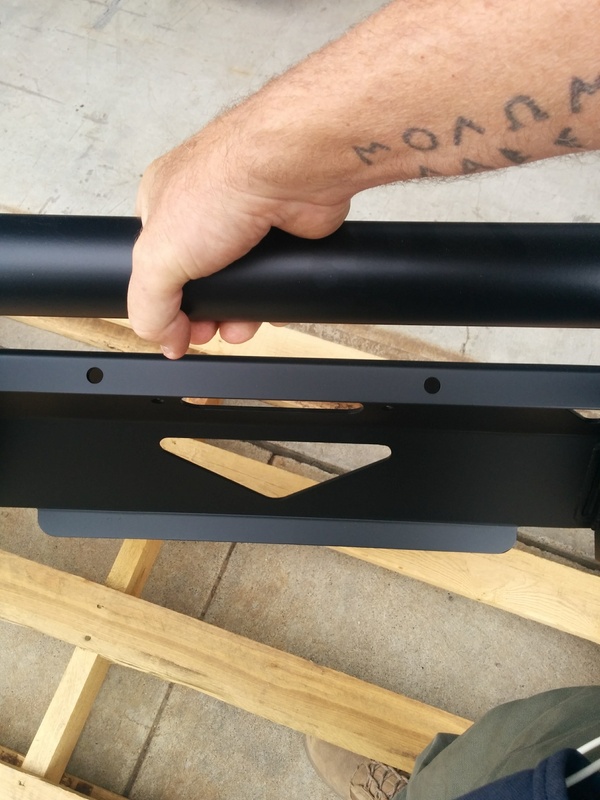 There is an addition box section that bolts directly to the front of the frame that the visual part of the bumper then attaches to so I will guess a total of 55 pounds for the bumper as a whole. About another hour later I was summoned back to the installation bay to help decide how to proceed with an issue that had come up. Originally I was very specifically told my first two winch choices had not been tested, might not fit and the options on their webpage would fit. Now I was being told (and shown) that the lower edge of the Tacoma’s front grill was in the way of the winch controller box of their approved winch and so they would have to cut away a sizeable chunk of the grill to make it fit in there or take an extra three hours or so of installation time (that I would, of course, have to pay for) so they could run longer wires and somehow figure out a way to mount the controller in an area of the engine bay. Pretty disappointing lack of detail oriented knowledge by the company. Like…really. The installer happened to actually be the company’s original founder who had sold the company but still stayed on in this capacity and he told me he had installed hundreds of winches over the years and the cut in the grill would not look bad and that this was the method he would choose if it was his truck and so I took his professional opinion and told them to do the cut out. After another hour or so of waiting they finally brought the Tacoma back out to us and it really looked good. The cut taken out of the grill was straight and didn’t look bad at all although the edges still had a bunch of semi-melted plastic attached to them from the cutting wheel they obviously used. A couple of minutes with knife and fingers and I got all the plastic remnants removed. Everything Centered And Looking Like A Nice, Clean, Custom Installation. It was then that I was informed that they had merely rolled the synthetic cable onto the winch by hand and I should perform the crucial pre-stress/pre-tension wrap at my earliest convenience. This entails attaching the winch cable to something heavy or immovable and then spooling it back onto the winch drum under that level of tension – the number I had read was about 1000 lbs worth. For safety’s sake this takes two people, one to be in the driver’s seat controlling the rolling vehicle and the other to carefully feed the cable onto the winch drum neatly. As Willow would be useless for this job I asked if we could do that now and was told, unsurprisingly “sure, you’ll just have to pay for the extra 15 minutes or so of labor involved.” The process involved them pulling out the synthetic cable all the way and attaching it to their forklift and winching the Tacoma towards the forklift on the flat ground of their parking area. The VR10 winch performed a little too admirably at first and started dragging the forklift towards the Tacoma instead of the other way around. Setting the forklift parking brake a little more stoutly solved that problem and the rest of the process was completed smoothly. Right about then is when the light rain that had been forecast decided to put in an appearance. Now that everything I had wanted was completed I paid the balance thanked them for their work and drove away annoyed but content for the moment and happy to be done with the company. 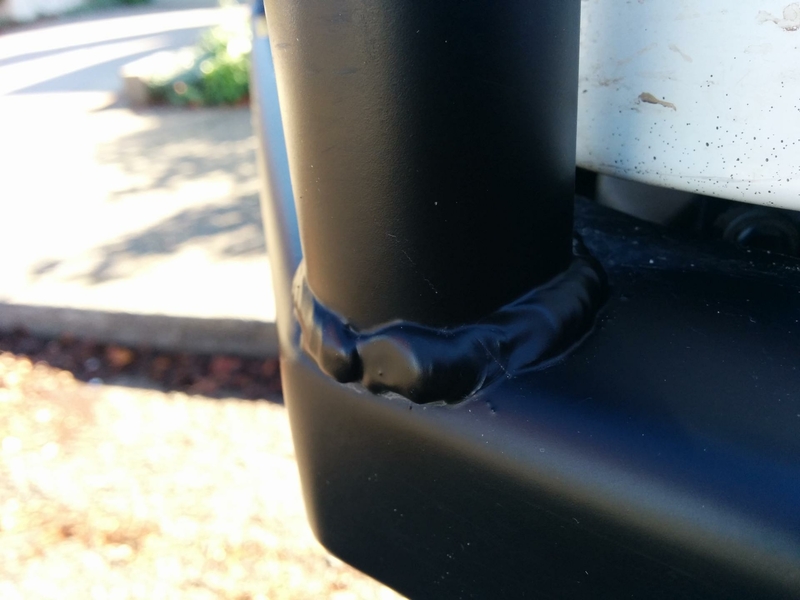 I did notice that they charged me 3.5 hours just to install the bumper (and 2.5 more for the winch install) when their website states the bumper install should take about 1 hour. As an aside I have since emailed the company to see if they had instruction for the bumper install either online or as a pdf they could email me (just so I could see what the process that took a professional installer 3.5 hours to perform was). Their verbatim reply: “Unfortunately we don’t have any put together for that bumper right now. It is pretty straight forward now that we have already installed it for you so if you need to take it off you should just be able to un-bolt it from the frame mounts and then it should come right off for you if you are needing to.” So I assume the hundreds of people who have bought this bumper over the years have just muddled through and figured it because it’s “pretty straight forward.” More unimpressiveness. So…not five minutes later after driving away I came to a stop sign and turned on my blinkers. I was sadly (but in retrospect unsurprisingly) greeted with the dreaded hyperflash which is a vehicle’s way of letting you know something is wrong on that circuit. A car’s flasher unit is designed to monitor the electrical load that it is powering. This basically means that the flasher unit knows how much current the factory bulbs will draw when they’re in use. 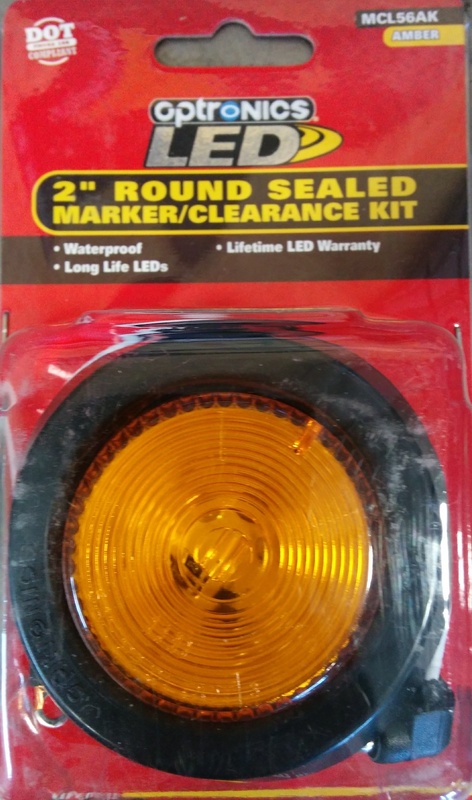 When one of the bulbs is burnt out, removed, or replaced with a lower wattage bulb or LED the flasher notices the changed resistance and does its job of letting you know something is “wrong” by flashing at a faster pace on the side of the car that this has occurred. In our case, this meant that the LED blinkers on the new bumper did not have resisters installed. I immediately drove back to CBI and mentioned this oversight and was told, almost literally, “Oh, yeah, we were supposed to ask if you wanted that done before the install started…whoops.” ¯\_(ツ)_/¯ When I informed them that, yes, I would like my blinkers to work normally I was told that the guy who would normally do that installation had gone to lunch and would I mind terribly waiting an hour for him to return. My internal monologue went something along the lines of “Ahhh, hmmm…I don’t really have a choice now do I God Dammit! ?” My friendly, external response was “No problem, I’ll use this time to have a late lunch.” So then, just because there is no god, I had no sooner got in the Tacoma to stay dry, grabbed a snack and popped open a lovely, local IPA than my main contact at the company strolls up, knocks on the Tacoma’s rain streaked window and informs me that someone else would be willing to do the install and would I mind pulling the Tacoma back around to that installation bay. Great. Sure. No problem. Please pay no attention to my full mouth and beer breath. This new installer was not someone I had met so far but he seemed nice and competent. Since resistors get pretty hot in use you are supposed to mount them to metal so they don’t melt plastic and so that the metal mounting point acts as a heat sink. There then arose some little issues with the mounting screws. On one side the metal spot he had chosen for that resistor had the windshield wiper fluid pump and reservoir directly on the other side and he obviously didn’t want to drill holes or screw them through too far and cause damage or a leak. On the other side he broke one of the little screws and did not have another that size and so only one screw was attached for each resistor (we’ve since replaced the missing small screw on each resistor ourselves). Not wanting to hang out even longer and spend more money on labor we tested the blinkers – they worked correctly now…Yay! After coughing up another $65 for that little addendum we said another round of friendly and gracious “Thank You’s” and drove away towards our next camping spot. Pretty damned sloppy and unimpressive. Not that I’ve had the welds x-rayed…yet, but in retrospect I still expect them and the bumper itself to both be structurally sound. 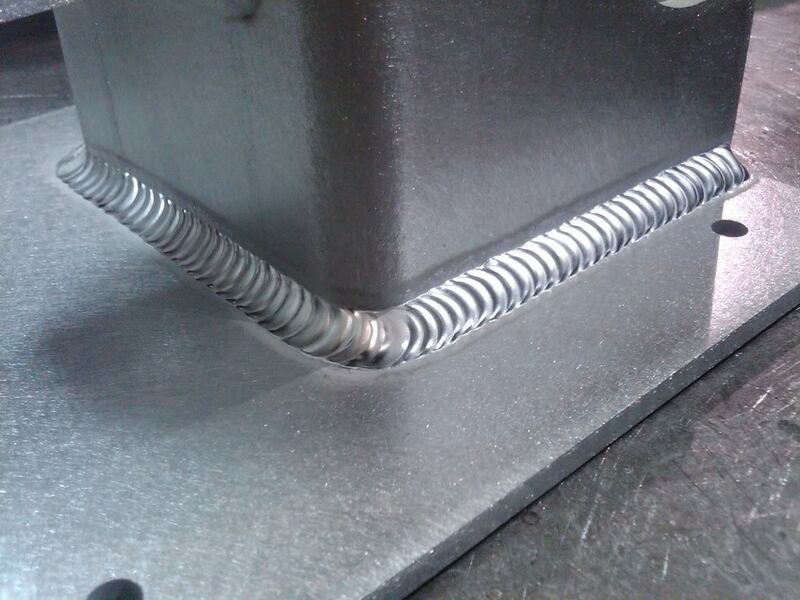 It’s not like I was really in the position to refuse to take delivery and wait another several months for a new bumper to be produced that would meet my preconceived notions (knowing a grand total of Zilch about welding) on what a quality weld looked like. 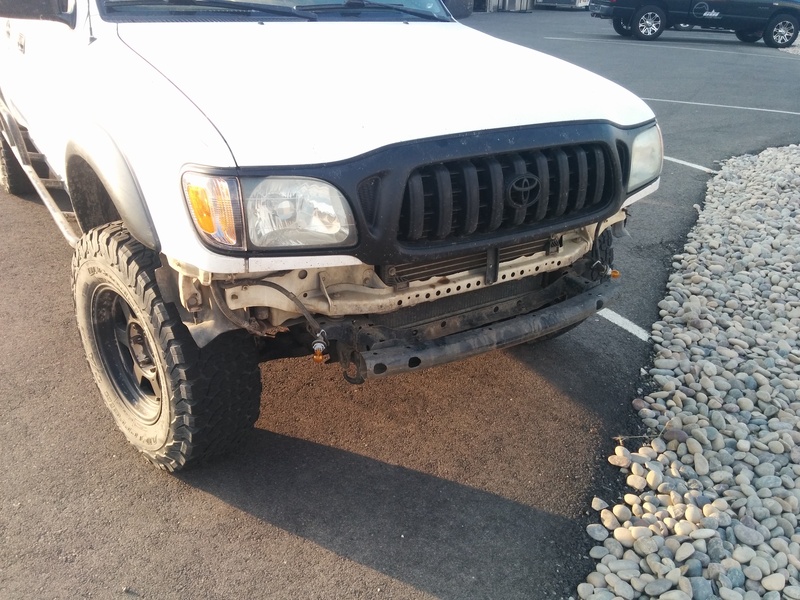 From a few feet away you cannot see the ugly welds and from even farther away the bumper looks like a well designed and placed addition to the Tacoma. 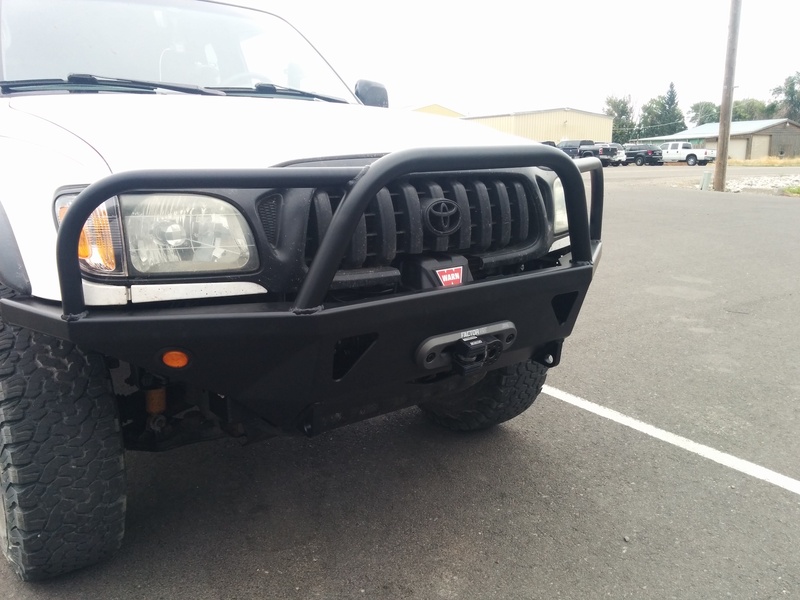 So, in general, about $3200 all in, we are if not blissfully happy then at least content that we now have what we believe to be a good looking (from afar), stout, protective bumper on our Tacoma as well as a quality winch for those special occasions. 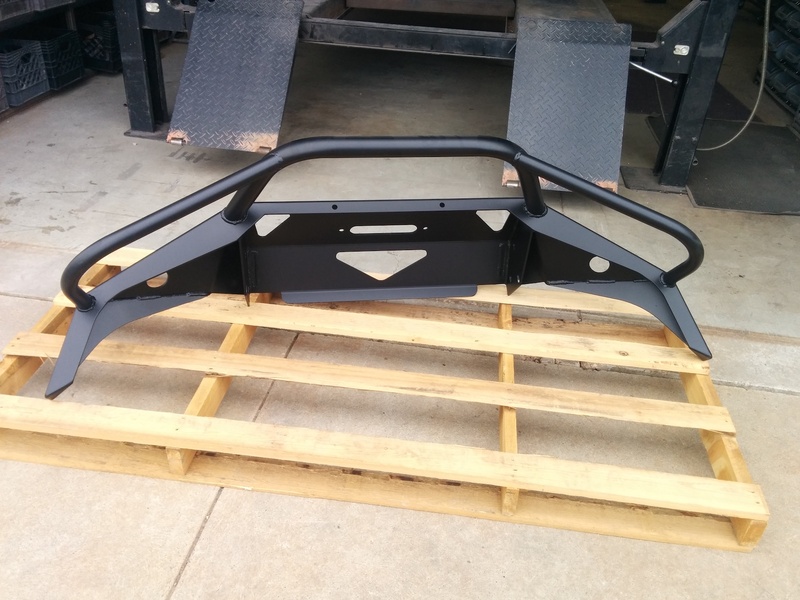 Hopefully we will never have to test out the bumper’s structural integrity by smacking into a deer or the like. For numerous individual reasons and as a whole our dealings with the company were less-than-ideal though and we will not be using them for any additional products or services in the future. 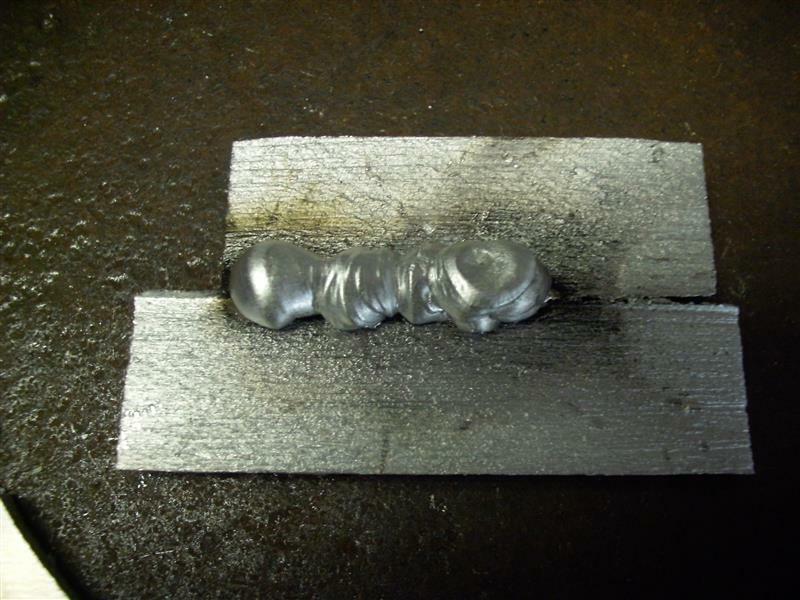 CBI is supposed to stand for “Can’t Break It” and we really hope that this product lives up to that name and hey, we learned another useful lesson to carefully inspect parts before taking delivery of them. Live and learn. See you off the normally traveled path. I just took delivery of a cbi Moab 2,0 aluminum. 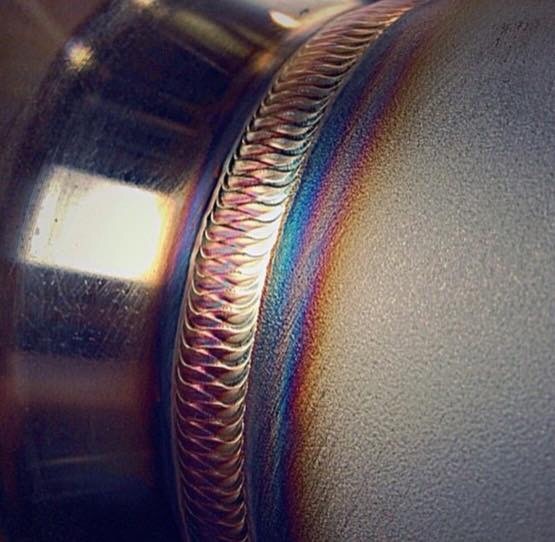 The welds look perfect (I’m a welder of steel). From the time I ordered to delivery at my shop was 8 days. Good on ya cbi! Now to see how the installation goes. Pretty sad for a company trying to make a profit and looking for more customers.. 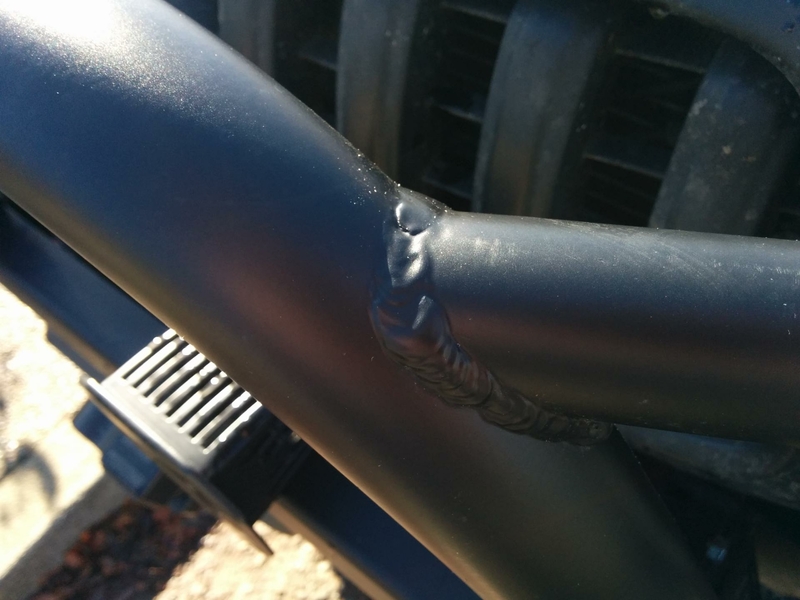 I have a swell bumper with winch space on my Samurai..It was not expensive at all and I was able to put it on…Sorry I can’t recall the brand right now..
You don’t need another one anyways..eh?